← Tolkien Companion and Guide 2nd Ed. I’m wondering if it will be included also the later prose version, which is still unpublished. Amazon UK has now listed a hardcover edition of 304 pages at a price of £20.00. Amazon UK have now also listed a Deluxe Slipcased Edition £75 for release on the same day. Thanks, Villads and naturesfocus, we’ve updated our post. I am certain the original form they have in mind is the 1930s Lay. Thanks for sharing the news with us. I too am hoping for the later prose Beren & Luthien to be included. I have a feeling that’s what the Press Release might actually be referring to…after all “Luthien” is not even named in the Book of Lost Tales Version, and Sauron is not a lord of werewolves but a ‘prince of cats’. As amusing as such a publication might be (though redundant) I think we might actually get some new material here. I’m so excited for this 😀 Thanks for posting Wayne and Christina. So keen for this book! Thanks for posting Wayne and Christina. Thank you very much for making us aware of this publication and the presentation of the dust jacket. For me since Unfinished Tales I have always enjoyed reading the Silmarillion materials not as a tight compendium but where the narrative provides an emotional immediacy. 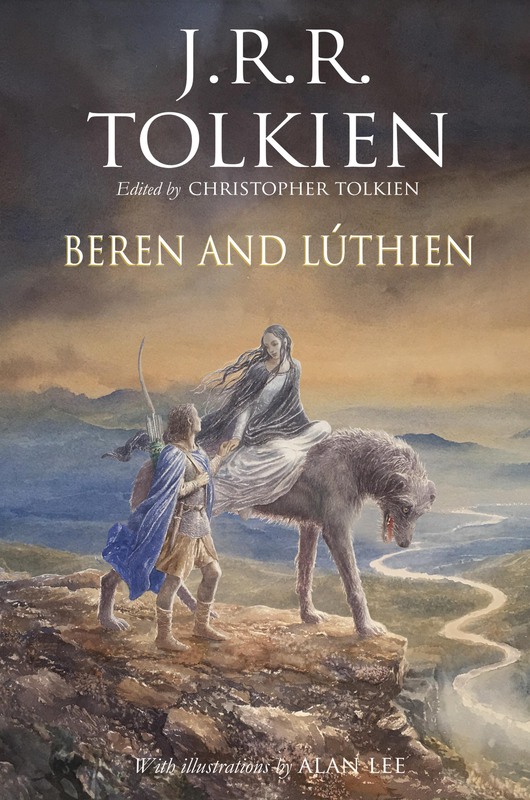 Some of Hurin and Tuor has that same sense of introspection and depth as the chapters with Frodo and Sam (and Gollum) on the journey to Doom and I am sure a more focused presentation of the matter of B & L will come even closer into their tale. Like others I am curious to see where this starts Christopher quite rightly places the BOLT as being stylistically disconnected from his fathers latter work. As so much of the story is very poetic I hope the Ley is central to the presentation and perhaps stops for prose expansion or the other way round. Fascinated to see how this works. The UK price has new been reduced by £5. It must have had unprecedented demand! I can not wait 🙂 !